Right click to save and download this digital label for display on your website. For additional labels, see our Digital Award Seals page. 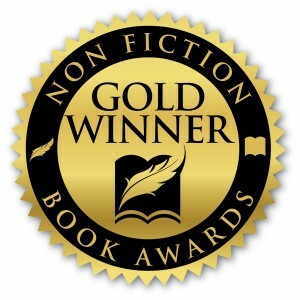 Gold, silver and bronze winners of the Nonfiction Book Awards may purchase award labels for your books. Stickers are just under 1 1/2 inches, star-burst style, on beautiful foil labels. These award labels will add an eye-catching touch of class to your book covers! Labels may only be purchased by qualifying Nonfiction Book Awards recipients. Please note that we cannot ship labels to international locations. Plus $7.50 shipping and handling. Sales tax is applied for California purchasers. Gold, Silver or Bronze Labels? Congratulations to our book award winners! If you have any trouble placing your order, please contact us for assistance.